Starring: Simon Pegg (Hot Fuzz), Martin Freeman (The Hobbit), Nick Frost (Attack of the Block) and more. Rating: Rated R for pervasive language and stylized violence. 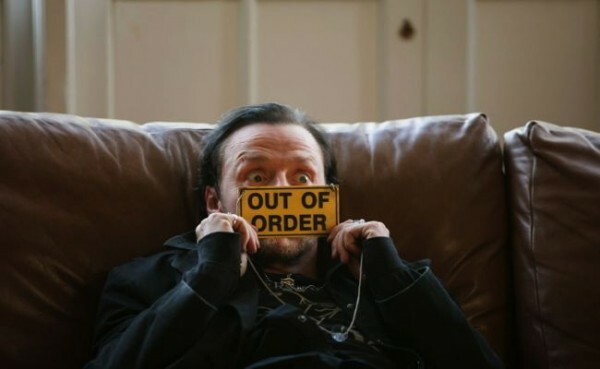 Fans of British actor Simon Pegg are sure to enjoy this comedic adventure that concludes Edgar Wright and Simon Pegg’s “Three Flavours Cornetto trilogy” (oftimes referred to as the “Blood and Ice Cream trilogy) that includes the previously released films Shaun of the Dead and Hot Fuzz. The World’s End is a story of five friends from the same local village who reunite there and attempt to reengage in a challenge now 20 years left incomplete. 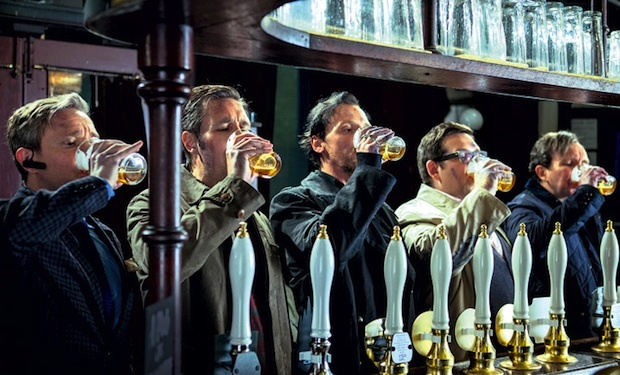 Together they re-embark on an epic pub crawl quest consisting of consuming a pint in each of the twelve pubs along the “Golden Mile” ending at The World’s End. Gary King (Pegg) is the wildcard of the group that never grew up and hopes to reignite some of the fun he and his mates had two decades ago as he still lives in the past. His friends, who have moved on, reluctantly appease him on this juvenile marathon of intoxication that leads to their entire group unwittingly becoming earth’s final hope for the survival of mankind against aliens that have overtaken their childhood town. 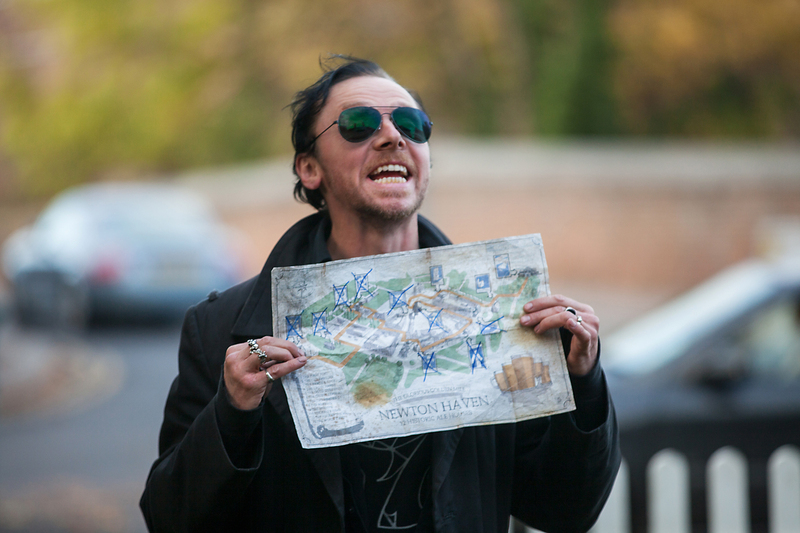 Full of alcohol, antics and aliens, The World’s End gets to be crazy, outlandish, silly and funny that, when the few serious moments pop up, they are still not taken seriously. 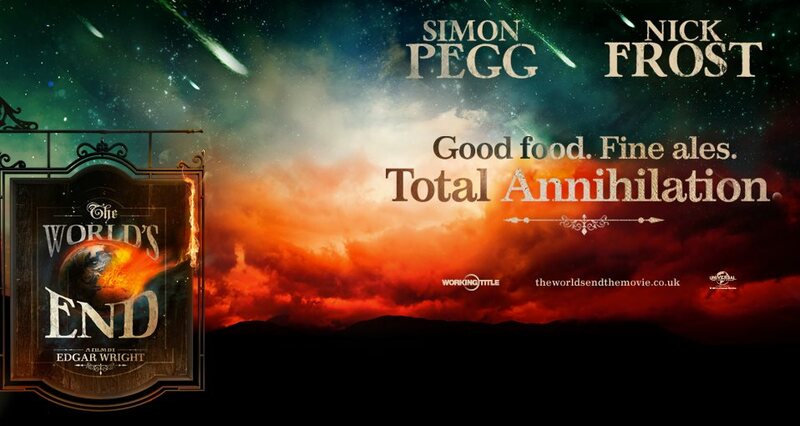 Pegg’s brand of British humor is appreciated by most but, along with Edgar Wright’s direction, is usually lost on me. Not being a fan of Shaun of the Dead or Hot Fuzz myself, this one I watched with an open mind but I was reminded more of the ridiculousness of Ben Stiller’s The Watch (my review) and found Pegg to be less entertaining than he is in films such as Star Trek. 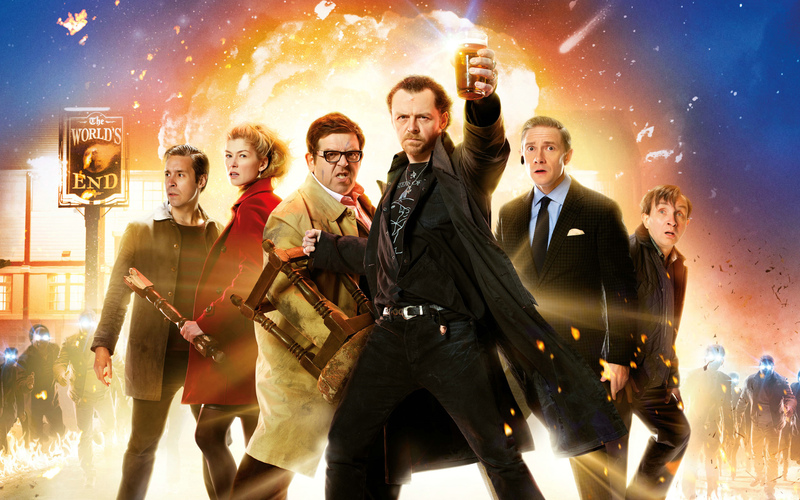 The World’s End, scattered at times in story and its sequence of events, is carried by the strong leads of Simon Pegg (who does what he does well enough), Nick Frost, Martin Freeman and more. The quick appearances of other actors such as Pierce Brosnan, Bill Nighy and others add to the film’s enjoyment during moments in which it loses interest while waiting for the story and action to take off. Switching back and forth in focus, genre and tone, The World’s End is attractively fun in its outlandish way and an hilarious look at maturity, action films and real life in general…plus or minus the occasional drunk and blood-thirsty aliens. Pegg fans will find much more to enjoy than most and may be sad to see the “Three Flavours” come to an end at The World’s End. 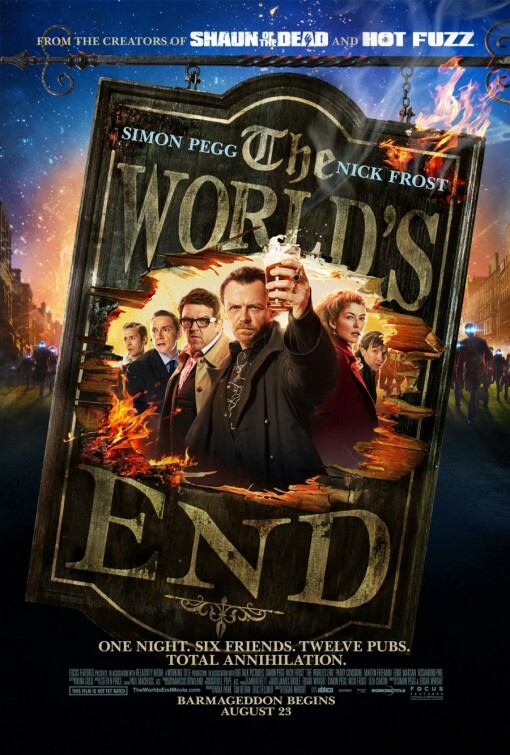 My Score: 2.5 out of 5 stars for The World’s End. up next: Reviews for The White Sands International Film Festival followed by Trailer Time Thursday! Previous “It’s Time to Vote Tuesday” 163! Next #WSIFF: Reviews to Use & Help Choose, pt 4. LOL. Well, to be fair, The Watch was much worse, you’re right! haha, but I did think about it often during The World’s End. Glad you liked it more. I wish it had for me. just…nope. Thanks for reading. Nice review T. A bunch of madcap, insane, crazy fun, but isn’t the best out of the three, as much as it hurts me to say that. I just didn’t laugh too much. And I should have been able to. Thanks for commenting Dan. yep. I know what you mean, Tim! for sure. the same rating, huh? haha, that’s fun when that happens. Def more fun than this film was for me. LOL.